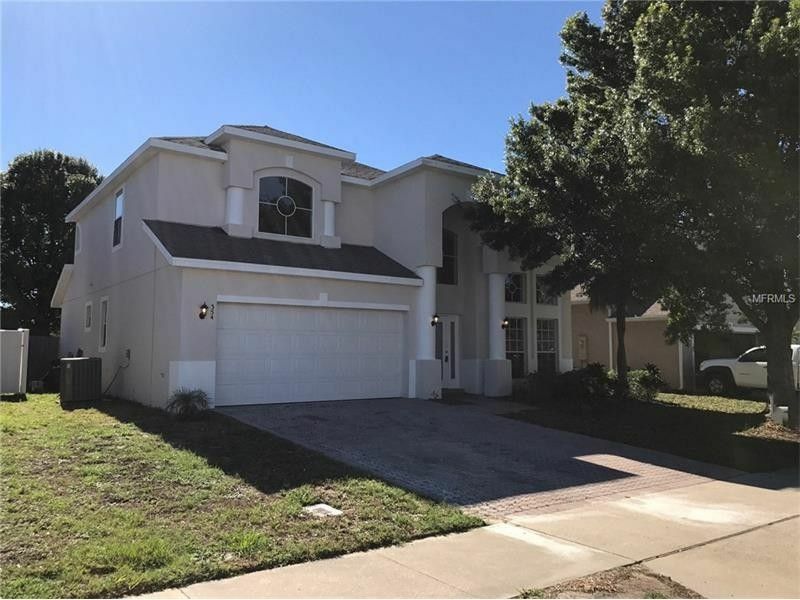 BEAUTIFUL 4 BEDROOM, 3 BEDROOM BLOCK HOME IN DEBARY!! Conveniently located close to shopping and highway access!! This MOVE IN READY HOME has just been COMPLETELY UPDATED with NEW PAINT, NEW FLOORING, NEW STAINLESS STEEL APPLIANCES, and NEW FIXTURES!! Everything is CLEAN and ready to go!! Great layout, volume ceilings, 2 car garage, spacious bedrooms, and loft! Large eat-in kitchen with island, pantry, breakfast bar, and built-in desk!! Located just steps from the COMMUNITY POOL!! This is NOT a short sale or a bank owned property. This is a GREAT HOME that is PRICED TO SELL!! Come see it TODAY!! Driving Directions: S. SHELL RD TO WEST ON SPRING VISTA DR. LEFT ON SYCAMORE SPRINGS ST. HOUSE ON RIGHT.